Hello book nerds, are you ready for another awesome recommendation in came your TBR is getting low. 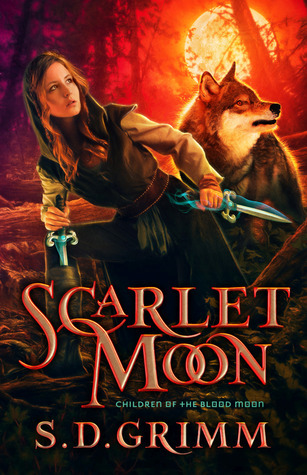 It's no secret to any of you that one of my favourite book ever given to me by an author is Scarlet Moon by S. D Grimm. It was a book that, altough flawed, pulled me in and didn't let go. The characters were amazingly written, they felt do real, I fell completly in love. You can read my review on the first and second book of this trilogy here on the blog, if you feel like it. This sounds like something I'd love to read. It doesn't have that much ratings on Goodreads, weirdly.